Center historical mosque in the center of Cordoba, at the gates of the Jewry, 2 m. In the mosque, sliding square, Plaza de las Tendillas, and in the heart of the routes of the patios, overlooking a Renaissance cloister XVI. The rental of the apartment includes: cleaning the apartment at the entrance, water consumption, electricity consumption, consumption of butane, community costs and change of towels and bed linen. In the heart of Cordoba, at the gates of the Jewry, two minutes walk from the mosque, sliding square, Plaza de las Tendillas, and in the heart of the routes of the patios and next to the processions overlooking a Renaissance cloister XVI. This is a newly renovated floor: bathroom, kitchen, floor, doors, etc, in the heart of Cordoba. 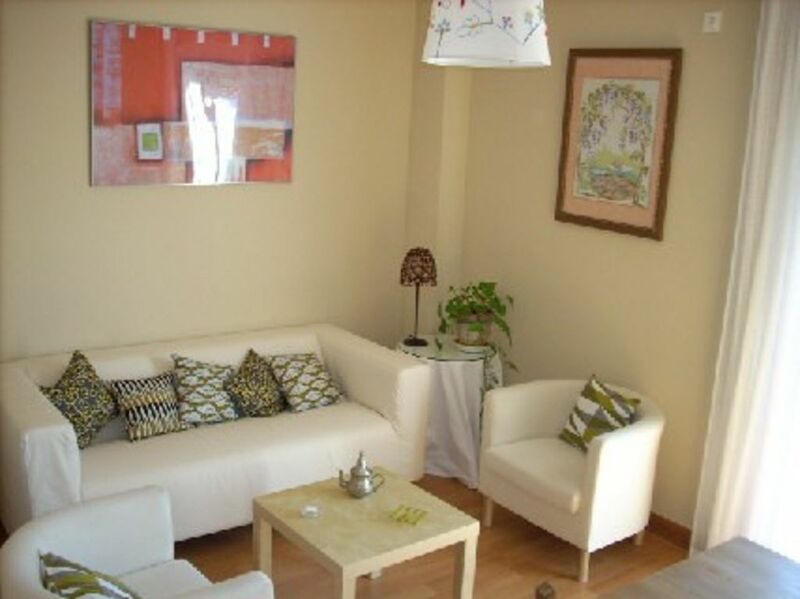 Well-located, spacious and cosy apartment. The owner Javier is very prompt in all our communications with tranlations in English. He lives just across the apartment and checking in was very easy. We didn't have any problems communicating in English as Javier has a translater app on his phone. He's very warm and hospitable and has a map that will show you all the places of interest and where to eat. The apartment is in the quaint historical centre. It's just a 5 minutes walk to the Mezquita and within walking distance to all the places of interest. Cordoba is a walkable and pretty town and we enjoyed walking around as everywhere was so near the apartment. The apartment has 3 bedrooms with comfortable beds, a cozy living room and a well-equipped kitchen. The heaters were adequate and kept us warm. The shower pressure and hot water is good but there is a strange odour in the bathroom. Overall we had a fantastic stay and will not hesitate to strongly recommend Javier's apartment. We have stayed in numerous apartments during our travels throughout Europe and Javier's apartment is definitely among the top ones! In fact, we haven't come across an apartment provided with freshly laundered towels packed in plastic. The beddings and towels are very clean, toiletries and washing detergent/fabric conditioner are provided. The washer/dryer is one of the cleanest, efficient and user friendly machine I have used! Thank you Javier for such a pleasant stay! We stayed for a week in this apartment. It is clean, very comfortable, quiet and has absolutly everything one might need. Very close to the Judería, but also to the rest of the center of Córdoba, with grocery stores, cafés and restaurants around, so very convenient. The owner Javier is very friendly. Apartment San Francisco was just what we thought it would be. The website tells and shows you exactly what to expect. The apartment was very clean and had everything we needed for us to be self-sufficient. Javier lives in the apartment across the landing. So it was easy to find him if we needed to. He was very friendly and helpful and although we don't speak Spanish we managed to communicate just fine. The location is wonderful and quiet, right opposite a picturesque church and yard where families congregated and children played. Most of the main historic sights of Cordoba are within easy walking distance of the apartment and there is a bus stop just a few metres away if you want to go further afield. There is a little cafe across the road where you can get wi-fi for the price of a freshly squeezed orange juice or a coffee. Appartement très bien placé et très confortable. Pour deux jours à Cordoue, nous avons beaucoup apprécié l'appartement de Javier, il est 6-7 min de la Mosquée/ Cathédrale, l'environnement est très agréable, il donne sur une jolie place et une belle église. Le logement est grand et nous y avons trouvé tout le confort nécessaire à notre séjour. Muchas gracias Javier y su esposa. Schöne Fewo in der Nähe aller Sehenswürdigkeiten - fußläufig. Vollständige Ausstattung, in allen Zimmern Klimaanlage. Liegt mitten in der Altstadt, deshalb mit dem Auto schwer zu finden, selbst mit Navi. Notre séjour était parfait en tout point. L'appartement est très bien situé à 5 minutes de la Mezquita et du quartier juif. Très satisfaits de notre séjour, nous recommandons cet endroit. El precio será por nº de personas y temporada. Garaje opcional. Posibilidad de cama supletoria. En fin de semana estancia mínima 2 días y Puentes, estancia mínima 3 días. Los precios expresados los son para una ocupación de 2 personas. Consulte precios para una ocupación mayor o menor.